In 2010, Links concluded that their head office could no longer accommodate the company's continued growth, and a move to new premises was essential. Links also decided that this would be a good time to install a new phone system, and that a hosted PBX phone service would meet their criteria... but why did Links select Vivo? They saw that hosted approach kept capital expenditure on equipment to a minimum, and eliminated annual support, maintenance and upgrade charges. The platform also delivered all of the facilities required from day one, and a wide range of additional facilities are also available if they are if needed in the future. The easy-to-use web portal allowed administration staff to make changes quickly and easily without the involvement of the service provider. Other sites and retail stores have also been added to the service, delivering further saving cost and integration benefits such as no cost for site-to-site calls, reduction in line, equipment and support costs, and centralised control. Redware is a thriving software company helping large organisations deliver remote training to their staff, dealers and franchisees. When the Redware team moved into new premises in central Leamington Spa, they knew they had to replace the outdated phone system they found there. The question was, how should they replace it? 'We didn't want the hassle of having equipment installed in the building,' says MD Andre Wrigley. 'We were already ripping out our old phone system when we moved in.' After carefully trialling our hosted PBX service, Redware elected to work with Vivo. Stadco is one of the largest suppliers to the automotive industry in the UK; they have five sites in the UK plus operations in Germany and India. The business has successfully adapted to the challenges of the automotive sector and has experienced a period of growth. To meet this growth, Stadco reviewed the existing telephony infrastructure, and concluded that the business had a legacy of dated, expensive and inflexible technology that didn't suit the needs of the organisation. As the existing supplier of lines and calls to Stadco, Vivo recommended that a hosted PBX service would address Stadco’s needs with minimal capital outlay and against a pressing timeframe. In addition, an extensive range of features, with different licence options for a wide range of end users, and a contractual arrangement whereby users can be added or removed at 30 days notice, provided the flexibility Stadco required. Furthermore, straightforward web based control eliminated the need for local expertise or for head office staff to travel to other sites to make changes. The hosted PBX service also provides bespoke on-line reporting, delivering information by cost centre, department or site, whenever it’s required, facilitating detailed management reporting and accurate cost control. A local property rental agency, The Letting People, based in Leamington Spa, had grown organically and reached the point where simple, single phone lines for each department became difficult to work with. They also found that callers were not being dealt with efficiently, leading to an adverse effect on the business. By introducing the Vivo hosted PBX phone service, landlords and tenants are now directed to the correct department with ease, and facilities such as hunt groups and queuing means calls are answered and dealt with quickly and efficiently. The two Directors, Caroline and Anthony, use the MobileOffice application, which means that when they are away from the office, calls will route to their mobiles, and conversely, they can work off-site, and appear to be on their office number. The business has now branched out into franchising. Franchisees are offered the Vivo phone service; facilities such as extension-to-extension calling between sites, (at no cost) - and the option for out of hours and overspill calls to be routed to the head office - offer added value to the franchisee. 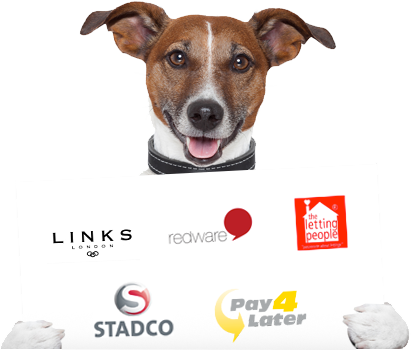 Pay4Later are the UK's fastest growing point of sale consumer finance provider. Based in the heart of the London's financial district, their customers include many well-known high street and online retailers. As an expanding and customer focused business, an adaptable, flexible phone system is key. The limitations of the existing service led Pay4Later to discuss their needs with Vivo, as a hosted PBX phone system could deliver what they were looking for. A 'menu' for callers, capable of dealing with a wide variety of typical queries from retailers and consumers, ensuring callers are dealt with by the most appropriate customer team. They also needed real time call reporting information, so that the sales manager can track inbound and outbound activity by staff members or by the team, all accessible from an easy to use portal. And finally, an in-house control of features such as hunt groups, voicemail options and out of hours routing by nominated staff members so that there is no need to rely on the service provider. As a start-up business, Angiolotty needed a phone service that was straightforward to install and use, and, in particular, they didn't want an on-site phone system. They looked for a provider who they could work with to manage the whole process; from understanding their needs and recommending the best approach whilst implementing the hosted PBX service, in a time frame that aligned with the refurbishment of their premises, to the launch of the business. Hosted telephony from Vivo could deliver on all these areas. The ability to quickly make changes was also important, and proved its worth when an outbreak of illness meant that staff were unavailable one weekend. By logging on to the service from home, incoming calls were re-directed to staff mobiles, ensuring incoming enquiries were dealt with quickly and efficiently. Tried and tested voice services with the Vivo paw of approval.